Cape Town - The Lions have received a significant boost with the news that captain Warren Whiteley has been cleared to fly to Australasia to join his team-mates. The Lions’ medical team said on Friday that Whiteley sufficiently recovered from a pectoral injury that has hampered his season to date. 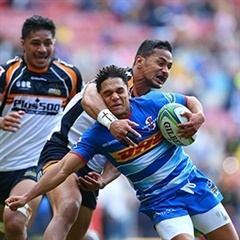 The Springbok No 8 will fly to Australia over the weekend, and while he will miss Saturday’s match against the Brumbies in Canberra, he should be available for their games against the Chiefs in Hamilton April 19 and the Crusaders in Christchurch on April 26. Saturday’s Brumbies v Lions clash is scheduled for 11:45 (SA time).